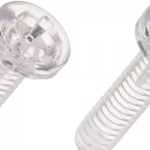 When we think of plastic non-metallic fasteners, what usually comes to mind is a big thick plastic screw and nut, usually the type included with your DIY IKEA furniture. 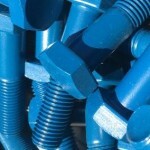 However, the fastener industry offers so much more than a standard nylon plastic screw and nut. In reality, these plastic and nylon screws come in thousands of shapes and sizes, some even have specific coatings for added strength or non-corrosive applications or non conductive needs. 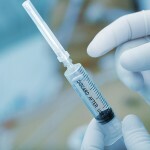 They are used in a variety of industries – even in areas not previously considered. What Makes These Fasteners Appropriate for Industries with Technological Innovation? Plastic and nylon fasteners are non-metallic but this does not mean they are not as strong as metallic screws. 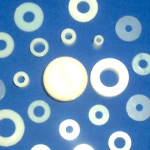 The coatings used for these plastic, non-metallic fasteners include acetal, polycarbonate, PVC and polypropylene. 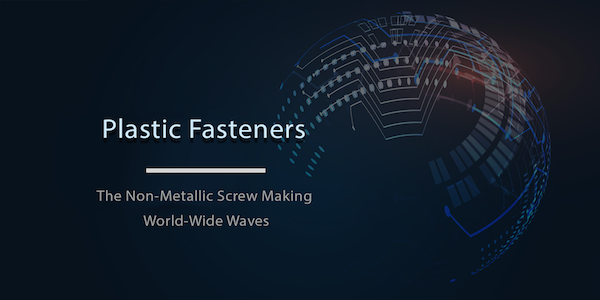 Fasteners types produced from these materials include: plastic screws, bolts, nuts, washers, grommets, rivets, plugs, clamps, spacers, anchors, circuit board hardware and more. By adding these high tech coatings nylon fasteners and fittings become corrosion resistant and have excellent electrical insulating properties which makes them appropriate to use in varying industries, including in an industry we rarely think of as being high tech, the fashion industry. Yes, although the plastic non-metallic fastener, screw, or bolt may seem inconsequential, it is actually a critical part of almost any high tech manufacturing process. Precisely, because of its electrical insulating properties. Yes, it is the lowly plastic non conductive and non metallic screw or bolt that holds everything together, even in industries we do not necessarily associate with technology. One such industry being that of fashion. What? Yes, technology is now as much a part of the fashion industry as it is of the auto, electro-domestic, and furniture industry. Even the fashion industry, is now using technology to create high quality garments that can do amazing things. Through the integration of computer technology, plastics, non conductive materials and new fabrication methods. All you need to do is look around on the internet. You’ll find there are now T-shirts with heart-rate monitors, dresses with illuminated LED lights, clothing that measures your blood sugar levels, fabrics that respond to stimuli and more. Elastic Textile display: A new ultrathin elastic display that fits close to the skin and shows an electrocardiogram taken by an on-skin electrode sensor and communicated wirelessly to a biomedical sensor system that transmits data to the cloud. Solar Power Fashion: New products like the solar powered fashion bag where tiny solar panels are wired to the outer side of the bag is enough to power any mobile device. Illuminated embroidery: These products integrate filaments, circuits and sensors that make clothes body electric. 3D Printed Fashion: Yes, designers have made a fabric from 3-D plastic printed designs. The result is a fabric that adapts to the body. Interactive Fashion: Interactive garments that communicate with us. Digital Sneakers: Sneakers that count steps, have temperature controls and can even have built in sensors that may help diagnose diseases. What Else Is in The Future of Technology and Fashion? The possibilities are endless, especially when the experts put their heads together. Currently fashion organizations are teaming up with technology experts to get answers to big-picture questions and more importantly how to use technology productively in fashion. 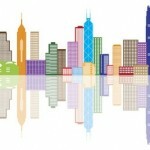 The Fashion Tech Forum now offers a safe space for both professionals to discuss solutions for the consumer. So What Does All of This Have to Do with Plastic non-metallic Fasteners? The point is that a huge number of industries depend on the plastic non metallic fastener to integrate high tech into their products (yes, even fashion). This means that the plastics and nonmetallic fastener and nut industry is growing in ways we never thought possible, in ways we rarely even think about. Plastic screws and nonmetallic washers are used in the fabrication of refrigerators, washing machines, in food processors, coffee makers,in the automotive industry. 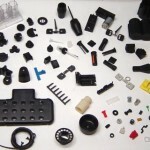 Plastic non metallic fasteners are a critical part of the circuit, sensor and high-tech industry. Without plastic non-metallic fasteners, washers, screws and plastic bolts, we would not be able to create these small technological wonders. It is the fasteners that hold circuit boards, sensors and just about everything in place, joining both tech products and other materials together. Without the simple, yet very complex plastic non metallic fastener, none of these possibilities would exist.